This article has been made with the main idea in mind to show you how you can remove the AppMaster Malware fake optimizer program from your PC. The Appmaster malware is a dangerous virus code that can be embedded in various software. It is being developed by an unknown criminal collective and can take many forms. Our in-depth article shows how users can identify the infections and attempt to remove them. Short Description The application will be advertised as an useful system utility. Symptoms The users can experience significant performance issues and may discover that additional software has been installed. User Experience Join Our Forum to Discuss Appmaster Malware. The AppMaster malware is a modified version of a legitimate system utility that is being distributed using some of the common strategies. The security reports read that the main vector so far seems to be a hacker-created website that is designed to advertise a PDF conversion utility. A cross-check has confirmed that there are several different names that the Appmaster malware uses. One of the names it uses as a disguise is “PDF PRO 100” — a tool for converting popular file formats. Various scripts can redirect to the malicious sites — banners, pop-ups, in-line links and etc. Another popular strategy is to send out SPAM emails — they use phishing tactics which are sent in bulk to the recipients. The malicious operators seek to impersonate messages that are sent by legitimate institutions and popular services. Infected Software — The criminals can take legitimate system utilities, their original setup files will be taken by the criminals and modified to include the virus code. Malicious App — The application itself can be entirely made by the hackers with the intent of masking as a legitimate system tool. Another tactic relies on the use of browser hijackers. They are dangerous plugins made compatible with the most popular web browsers and uploaded with fake user reviews and developer credentials. Their description often advertises promises of greatly enhancing their functionality or adding new features. When they are installed most of them will redirect the users to a hacker-controlled page and will also lead to a virus installation. Ransomware — These viruses are among the most deadly and are designed to encrypt target data with a strong cipher. The victims will be blackmailed to pay the operators for data recovery. Trojans — These are viruses that seek to take over control of the victims computers at any given time. They are also particularly useful for extracting files and data that can then be used for identity theft and financial abuse. Cryptocurrency Miners — Among the most popular threats are also miners that take advantage of the available system resources in order to carry out complex calculations. When they have successfully completed the malicious operators will be rewarded digital currency for the operations. Adware — Various scripts, redirects, pop-ups and banners can be generated in the victims banners. The reason for this is the fact that every viewed or interacted results in profit generation for the operators. During the virus’s observation the analysts discovered that interaction with the document conversion utility does not actually fulffill the promises. The files are uploaded to a server belonging to a cloud service provider. It will do the conversation for them and offer the installation of a browser hijacker. The security analysis shows that the Appmaster malware is particularly dangerous as it can use practically any software payload, not just the aforementioned “PDF PRO 100” application. We expect to see other campaigns featuring it as the main code. Removing AppMaster Malware should be performed methodologically and properly. The app could present some difficulties for users during removal, because of the many files that it creates. One way to effectively remove AppMaster Malware is to follow the removal instructions that are underneath this article. They have been created with the main idea to help you remove this app either manually or automatically. Be advised that if manual removal is not something you feel prepared to do, security analysts often recommend using an advanced anti-malware program for the removal. Such tool will automatically attempt to scan for and remove any programs that are related to AppMaster Malware and make sure that the software is gone completely from your PC. Threats such as Appmaster Malware may be persistent. They tend to re-appear if not fully deleted. A malware removal tool like Combo Cleaner will help you to remove malicious programs, saving you the time and the struggle of tracking down numerous malicious files. Threats such as Appmaster Malware may be persistent on your system. They tend to re-appear if not fully deleted. A malware removal tool like SpyHunter will help you to remove malicious programs, saving you the time and the struggle of tracking down numerous malicious files. Note! Your computer system may be affected by Appmaster Malware and other threats. SpyHunter is a powerful malware removal tool designed to help users with in-depth system security analysis, detection and removal of threats such as Appmaster Malware. 1. Install SpyHunter to scan for Appmaster Malware and remove them. 2. Scan with SpyHunter, Detect and Remove Appmaster Malware. Ransomware infections and Appmaster Malware aim to encrypt your files using an encryption algorithm which may be very difficult to decrypt. This is why we have suggested several alternative methods that may help you go around direct decryption and try to restore your files. Bear in mind that these methods may not be 100% effective but may also help you a little or a lot in different situations. Note! Your computer system may be affected by Appmaster Malware or other threats. Remove Appmaster Malware by cleaning your Browser and Registry. Fix registry entries created by Appmaster Malware on your PC. Combo Cleaner is a powerful malware removal tool designed to help users with in-depth system security analysis, detection and removal of threats such as Appmaster Malware. Step 5: In the Applications menu, look for any suspicious app or an app with a name, similar or identical to Appmaster Malware. If you find it, right-click on the app and select “Move to Trash”. Step 6: Select Accounts, after which click on the Login Items preference. Your Mac will then show you a list of items that start automatically when you log in. Look for any suspicious apps identical or similar to Appmaster Malware. Check the app you want to stop from running automatically and then select on the Minus (“–“) icon to hide it. Remove Appmaster Malware – related extensions from your Mac’s browsers. A pop-up window will appear asking for confirmation to uninstall the extension. Select ‘Uninstall’ again, and the Appmaster Malware will be removed. 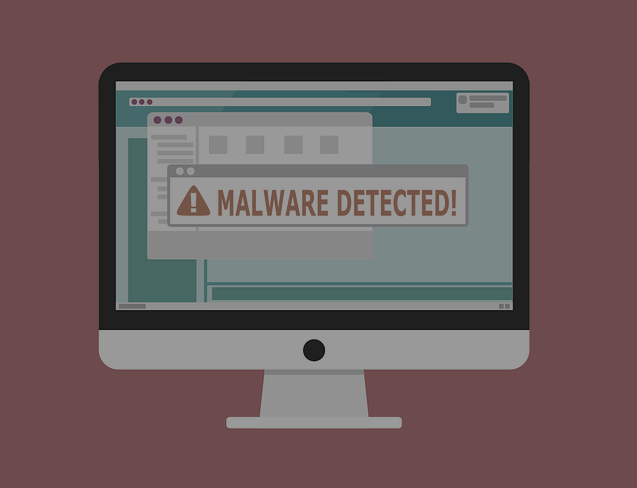 When you are facing problems on your Mac as a result of unwanted scripts and programs such as Appmaster Malware, the recommended way of eliminating the threat is by using an anti-malware program. Combo Cleaner offers advanced security features along with other modules that will improve your Mac’s security and protect it in the future. Hey !, I found this information for you: "Remove Appmaster Malware — Identify and Remove Active Infections". Here is the website link: https://sensorstechforum.com/remove-appmaster-malware-identify-remove-active-infections/. Thank you.